PAWS Darwin is an animal welfare organisation with charitable status, now located in Berrimah dedicated to providing care for unwanted and stray animals with the ultimate goal of re-homing these animals to loving families. We also aim to educate the community on animal issues such as the importance of desexing your pet which is achieved through school excursions and advertising campaigns. At this time due to space restrictions, all our pets are in foster care so to view them we need to ask you to be patient while we organise a viewing time with foster families. All our animals can be found on our Facebook page and direct contact with our carers can be made from there. If you would like to consider fostering please let us know, we'd love to add you to our team. 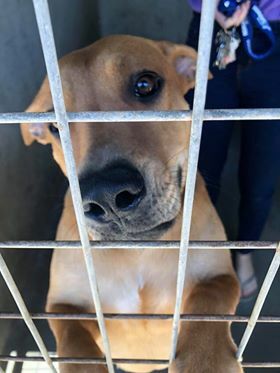 All animals from PAWS are adopted out sterilised (desexed), micro chipped, up to date on vaccinations, or with vouchers for these to be used at one of our participating veterinary clinics within a set time frame post adoption. All of our animals are guaranteed to be up to date with worming, tick and flea treatment upon adoption. Our dogs also come with four free behavioural class vouchers. Please read this whole post. We urgently need your help right here right now. As a small always struggling shelter with around 80 animals at any given time the costs of veterinary services add up. PAWS Darwin dogs and cats come from the local pounds, for many we are the last stop if we don’t take them then there are no other options. Our vet bills have really built up with all of these desperate cases over the past months. We really need your help! We need to clear our vet bills which currently stand at $15,000. Getting to zero will allow us to meet the ongoing vet expenses so we can continue our work, help us to desex on arrival and keep a roof over our head. Every dollar helps. Every animal saved is one less lost. Every family blessed bless us too. We urgently need your help. This is our time of need and we need YOU. Please donate tonight and help us. If 3,000 of you just donated $5 each we would raise the full amount and be able to sleep easier. I wish this could be more. This one is for Belle. I saw your post about her on FB. Thanks for all you do guys! Love the work you guys do! Good luck and we love what you do so thankyou for doing it. Just a little to help out.